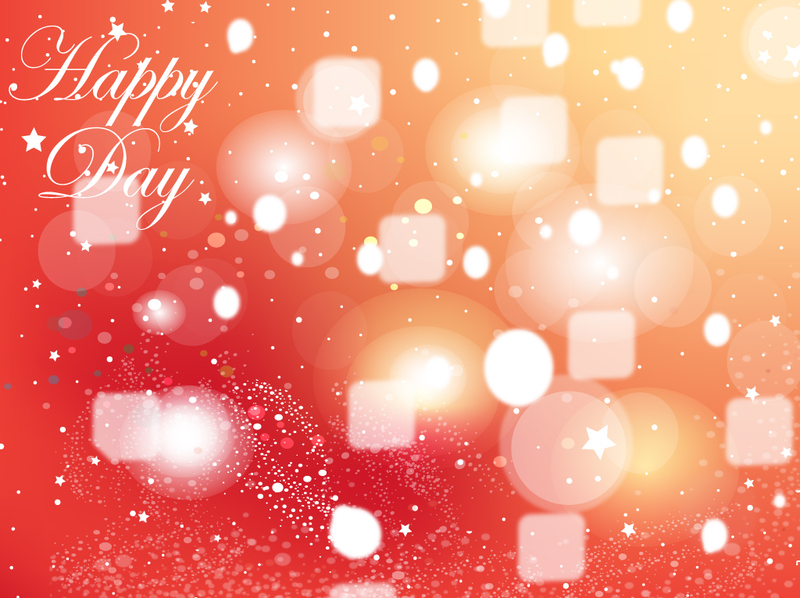 Happy birthday themed vector background design with an orange and red gradient mesh, rounded squares and light bubbles. White text is seen in the top left corner surrounded by little stars. Free Illustrator download file to help you create great looking greeting cards and party invitations. Tags: Celebration, Christmas, Dots, Effects, Festive, Greeting Card, Lights.